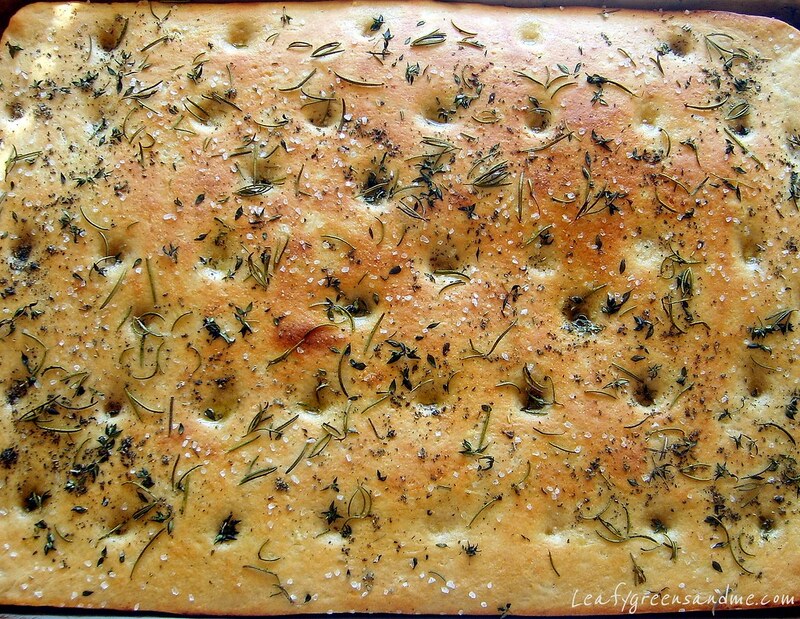 Every year for Thanksgiving I serve a Herb-Focaccia & Roasted Chestnut Stuffing. I usually purchase the focaccia already made, but this year I decided to make my own from scratch and wanted to test out a whole wheat version. After two experimental tries the focaccia came out great and so I will definitely be using this recipe for my Thanksgiving Stuffing and will post the entire recipe next week. In the meantime, I had to put the focaccia to good use and so I made a Bistro Oil for dipping...really delish! Note: Because of the whole wheat four, this focaccia when cooked is not as thick as regular focaccia made with only white flour. The dough will be about 3/4"-1" in thickness. However, the texture and flavor is amazing. Boil the potato in plenty of water until tender, about 30 minutes. Remove potato and let cool slightly, peel and then grate on a box grater. You should have 1 1/3 cups grated potato. Set aside. In the bowl of a stand up mixer, add 1/2 cup flour, 1/2 cup warm water (110 degrees) and 1 pk of yeast. Mix well and cover for 30 minutes while potato is cooking. Add to the proofed yeast mixture the olive oil, the remaining 1/2 cup warm water, the grated potato, the remaining 1 cup of white flour, all the wheat flour and the kosher salt. Using the paddle attachment, mix until combined and then switch to the dough hook. Knead on medium speed for about 15-20 minutes until smooth. Using whole wheat flour requires a longer kneading time and it will take some time for the dough to come together. Remove dough, form into a ball and place in a lightly oiled bowl and cover with plastic wrap and let rise until doubled in size about one hour. 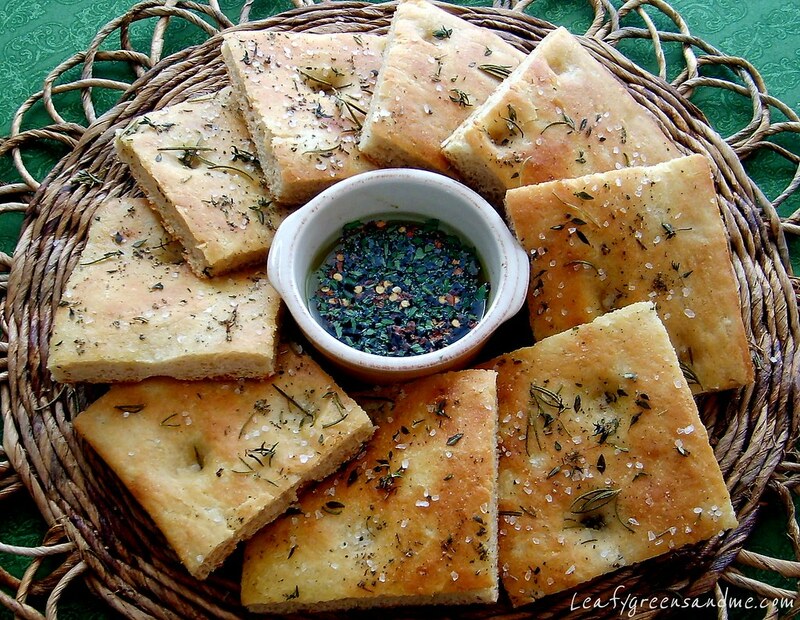 Generously oil a 15x10 baking sheet will olive oil and press the dough evenly into the pan. If the dough has a hard time going into the corners, let it rest (covered with plastic wrap) for a few minutes and then continue. Lightly oil plastic wrap and drape lightly over the dough/baking sheet and let rise until doubled in volume and puffy, about 1 to 1-1/2 hours. Meanwhile, preheat oven to 425 degrees and position oven rack in the lower-middle position of the oven. Using your fingers, create evenly spaced dimples in the dough. Drizzle with olive oil and spread lightly with your fingertips. Sprinkle with herbs and sea salt and bake in the oven for 15-18 minutes, turning once half way through the cooking time until lightly golden brown. Transfer to a wire rack to cool slightly and then remove focaccia from baking tray and cut into desired shapes. Note: This recipe is just a guideline. You can add whatever amounts of ingredients and switch up the herbs by adding fresh basil instead of rosemary. Also, I like a more acidic dipping oil and so I add a little more balsamic, but you may like more olive oil.